Today is Flag Day –a day commemorating the adoption of the American flag in 1777 by resolution of The Second Continental Congress. Americans are encouraged to fly their flags for a week starting today. The American flag should only be flown during daylight–unless it is lit with a spotlight. The flag should not be flown in inclement weather. There are many other rules related to flag protocol that you can read about HERE. 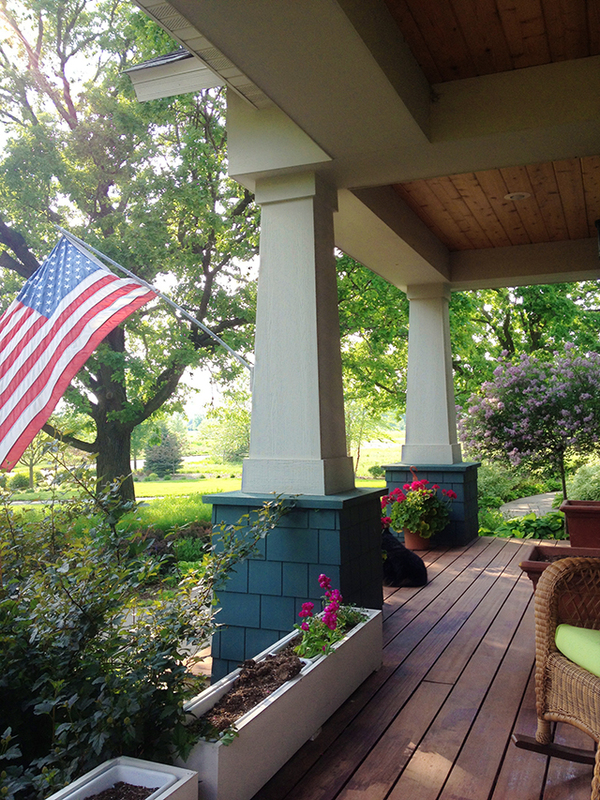 I plan to hang my flag, plant a few more flowers in the flower boxes and enjoy the wafting scent of our lilac tree. Hope your day unfurls smoothly! Have a great Flag Day. Hanging the American flag upside down is a sign or distress or disrespect. Yes, and the porch is one of my favorite places to sit and enjoy nature. Nice post! I burn a flag for some friends every time the one they fly on the lake gets old or torn.